Item # 308019 Stash Points: 2,595 (?) This is the number of points you get in The Zumiez Stash for purchasing this item. Stash points are redeemable for exclusive rewards only available to Zumiez Stash members. To redeem your points check out the rewards catalog on thestash.zumiez.com. 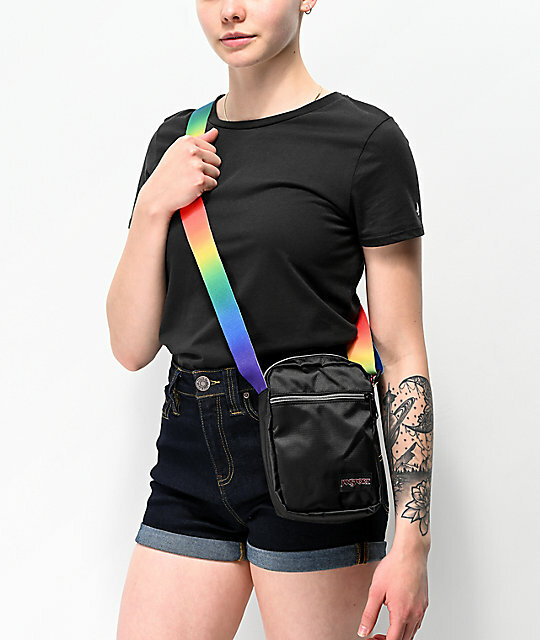 For an accessory with a splash of color, grab the Weekender FX cross body bag from JanSport. This black mini bag offers a main zippered compartment and a front zippered pocket for a little extra storage. 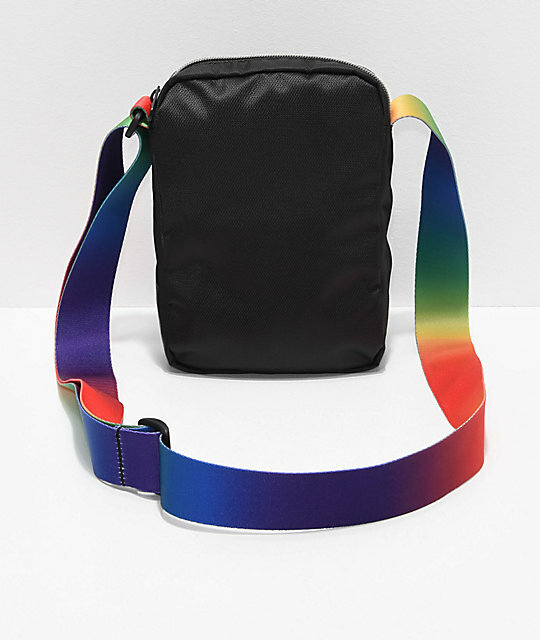 Complete with rainbow colored, adjustable, web strap; the Weekender is a fun addition to any outfit. 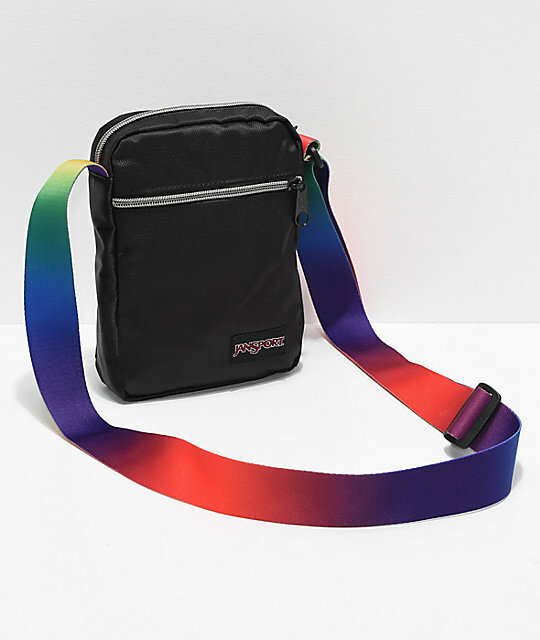 Weekender FX Rainbow Crossbody Bag from JanSport. One roomy main compartment with a zip closure. Front slip pocket with a zip closure. 8" x 5.5" x 2" | 20 x 14 x 5cm.